Managing the injured pulp in an immature permanent tooth poses one of the greatest endodontic challenges! Pulpal damage due to trauma or a carious lesion can cause premature loss of pulp function leading to arrest in root growth, maturation, and apical closure. This leaves the immature tooth with an unfavorable crown root ratio and thin fragile dentinal walls susceptible to fracture. In the best interests of the patient, the injured pulp should be allowed to recover and continue to function. 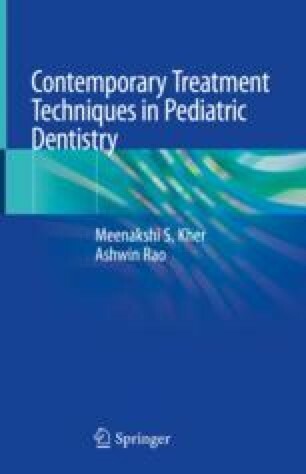 This chapter discusses in-depth various techniques that encourage continued root growth and root maturation in immature permanent teeth where the pulp is injured or necrosed. The procedures described contribute critically to the life span of the tooth. Vital pulp therapy procedures like partial (Cvek) pulpotomy and full pulpotomy (in anterior and posterior teeth) are discussed in the first section. These procedures aim to remove only the diseased pulp and preserve the remaining pulp in a functional state promoting root growth or apexogenesis. The second section is a detailed description of contemporary regenerative endodontic procedures for the treatment of immature permanent teeth with necrosed pulps. High-resolution images describe in depth each clinical step of all the procedures reviewed in the chapter. Accompanied by clinical tips and an erudite discussion of the rationale, indications, contraindications, and case selection, this chapter will help the reader gain a complete understanding of this complex subject. The chapter will handhold the clinician so they can use these valuable treatment modalities successfully in practice.